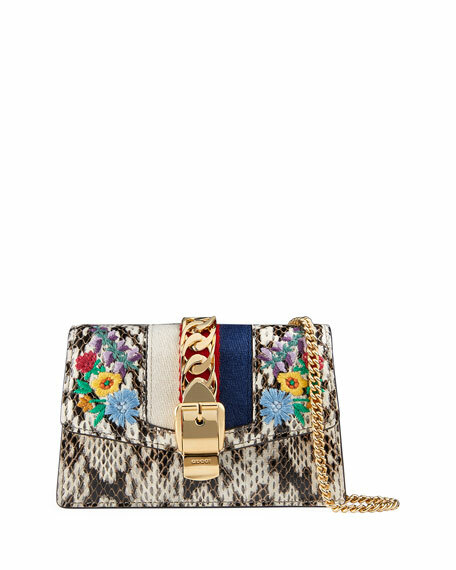 Floral-print snakeskin wallet on a chain. Chain shoulder strap with 23.6" drop. 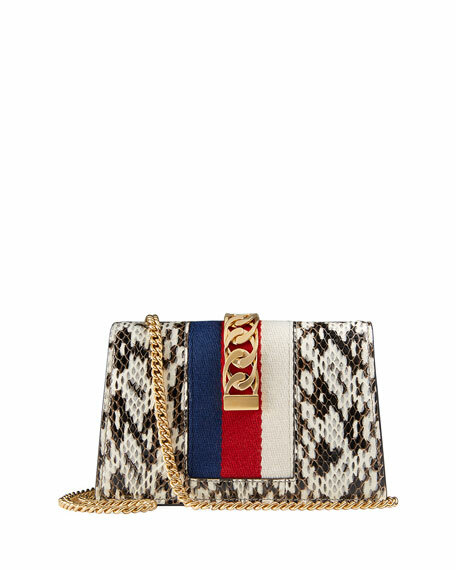 4.1"H x 6.5"W x 1.4"D.
Gucci matelassé leather shoulder bag. Antiqued golden hardware. Sliding chain strap can be doubled, 11.8"-21.5" drop. Flap top with interlocking GG; spring closure. Quilted heart on back. Interior, microfiber lining; one zip pocket. 6"H x 10.3"W x 2.8"D; weighs 1 lb. 5.6 oz. "GG Marmont" is made in Italy. 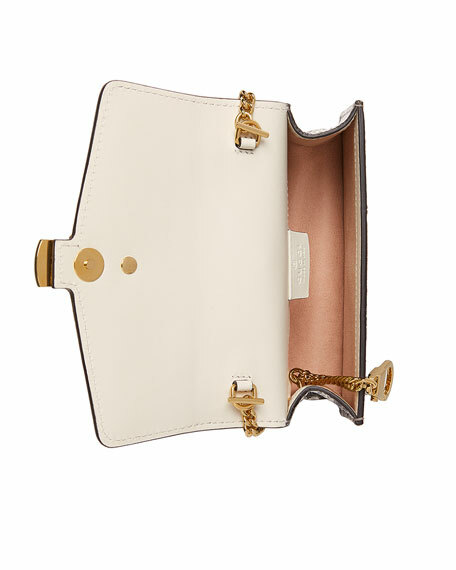 Gucci suede and patent leather shoulder bag. Removable chain shoulder strap, 17" drop. Open top with dual magnetic closure. Exterior, green/red/green center webbing from front to back. Interlocking GG stud at top center front. Interior, contrasting silk lining. One slip pocket. 6.5"H x 10"W x 3"D. Made in Italy.